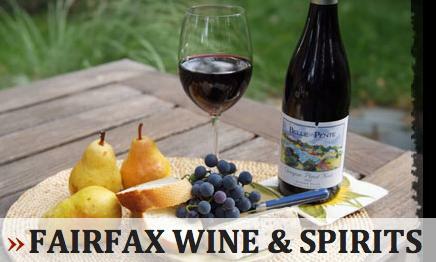 This spring, two prominent new ‘Fax businesses – Ace Hardware and Fairfax Wine & Spirits at Marczyk’s Fine Foods – are collaborating with The Fax Partnership for a wine tasting fundraiser. All proceeds from “The ‘Fax Uncorked” wine tasting will support a new façade improvement program, which provides matching funds for businesses to update East Colfax storefronts. Area residents, business and community leaders are invited to visit the new Ace on The Fax store, located at 7100 E. Colfax Avenue near Poplar Street, for a special wine tasting on Thursday, April 26 from 5:30 to 7:30 p.m. Guests will have the opportunity to tour the newly renovated space and taste over 20 wines from around the world, selected by Fairfax Wine & Spirits. Light snacks will be provided by the Cork House Broker restaurant. Guests can also save up to 15% on wine ordered at the event for pick-up and purchase at a later date. Fairfax Wine & Spirits will generously donate 5% of all wine ordered at the tasting to The Fax Partnership for the façade improvement grant program. Tickets are $25 per person or $40 for a pair, and are now available online at thefaxdenver.com for purchase via PayPal. Tickets will also be sold at the door on the day of the event by cash or check only. The Fax Partnership is the non-profit organization that connects people, place, and new investment to revitalize Colfax Avenue from Colorado Boulevard to Yosemite Street. The Partnership works closely with the City of Denver on business attraction and retention, district marketing, redevelopment, crime prevention and neighborhood outreach. For more information and to register for The Fax Partnership’s monthly e-newsletter, visit www.thefaxdenver.com.